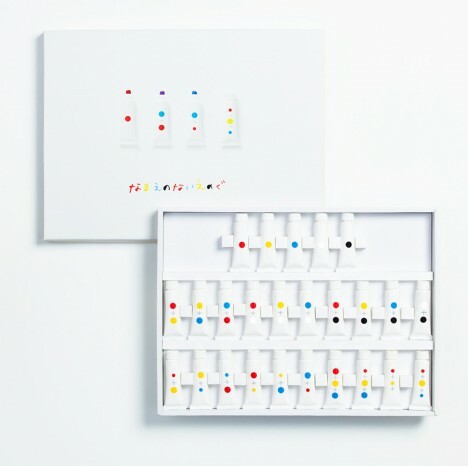 Instead of names or swatches, this series of minimalist paints comes in tubes that show off constituent colors that double as lessons about how complex hues and shades are created. 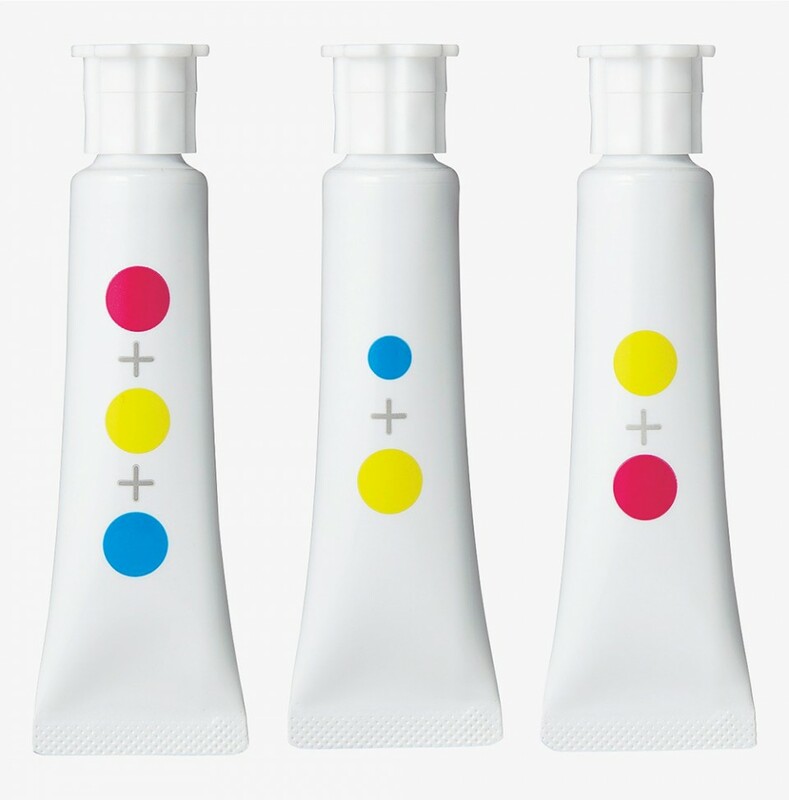 The nameless tubes are intended to eschew the use of words altogether and thus avoid existing associations, representing contents instead as a combination of three primary colors (cyan, yellow and magenta) with dots indicating relative amounts. The effect simultaneously divorces the product from names and looks in favor of a more abstract representation scheme that recalls unintuitive systems like binary. 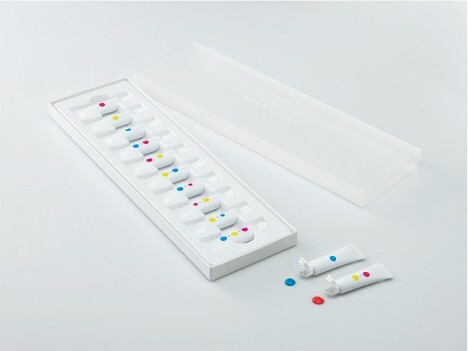 These 2012 Kokuyo Design Awards-winning visual labels hint at contents and teach kids how to make their own mixtures. The paints themselves will be on sale later this year. 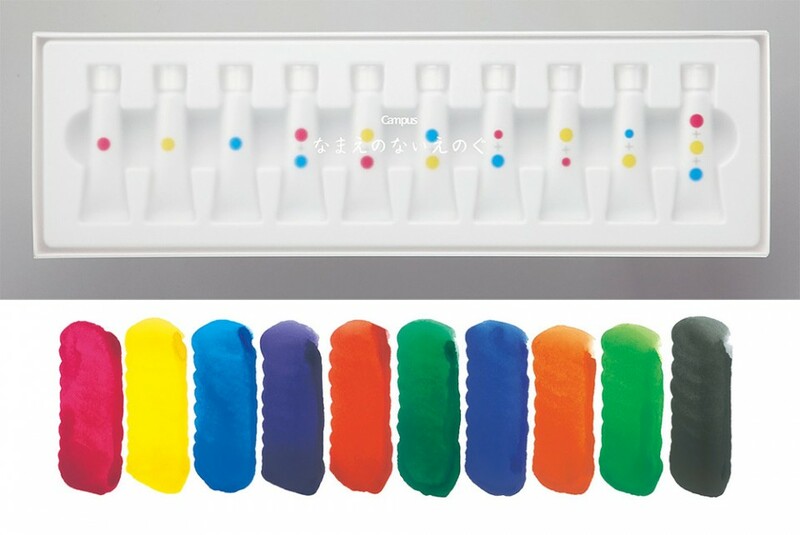 “By not assigning names to the colors we want to expand the definition of what a color can be, and the various shades they can create by mixing them” says creator Yusuke Imai, who made these with design partner Ayami Moteki (via Colossal and Spoon & Tamago).